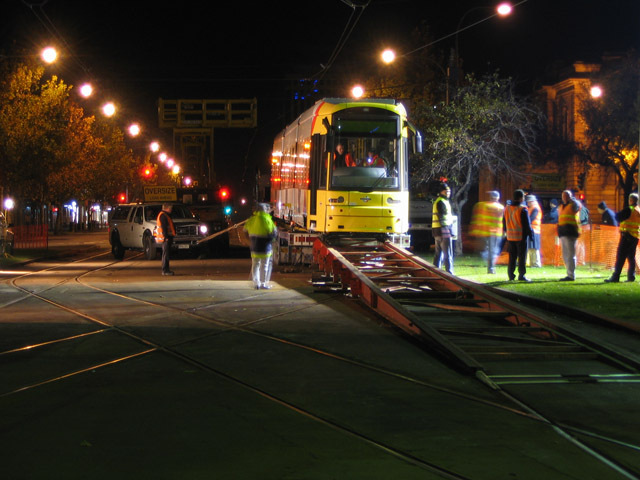 Flexity 108 arrives and H373 leaves. 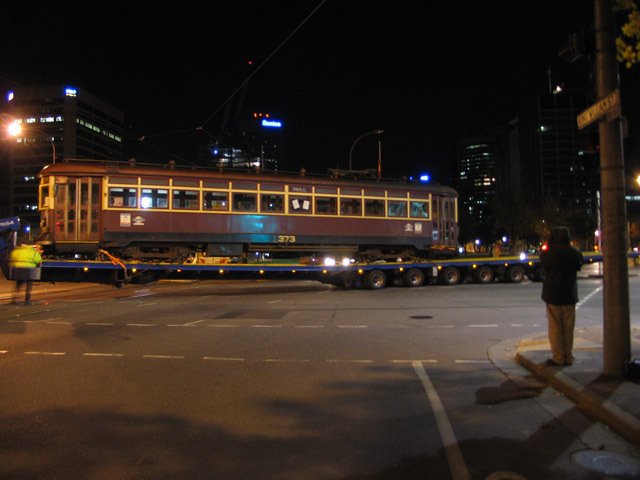 Wednesday the 7th of June 2006 ... Flexity 108 is delivered to Victoria Sq from Outer Harbour. 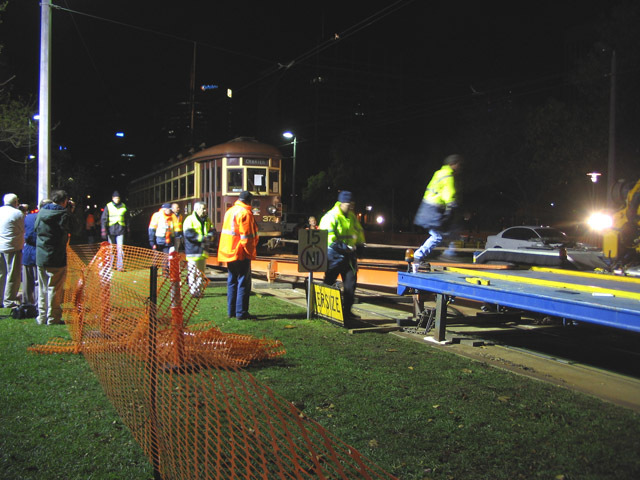 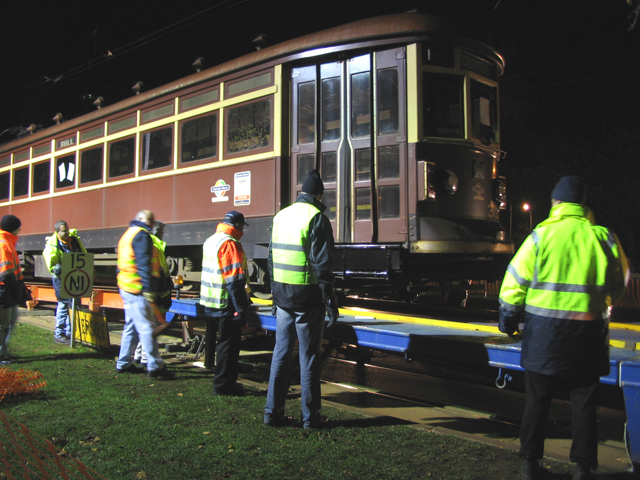 H Class tram 373 is then loaded onto the trailer to be transported to the Bylands museum in Victoria. 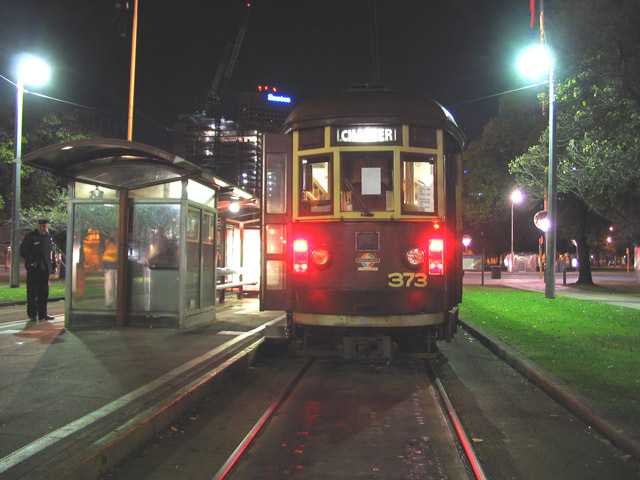 End of the line for 373. 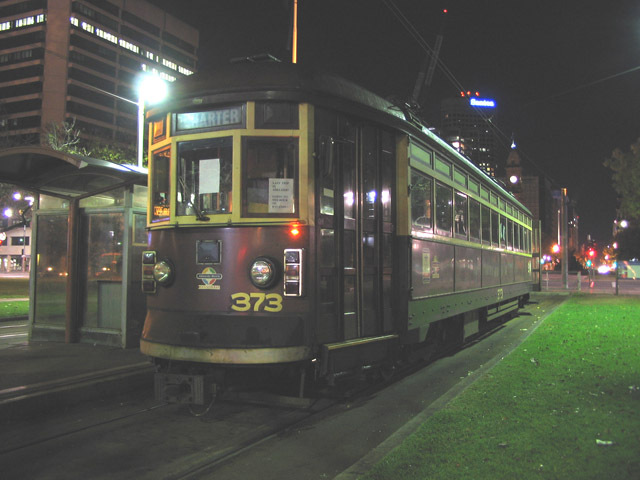 Waiting for the trailer to arrive. 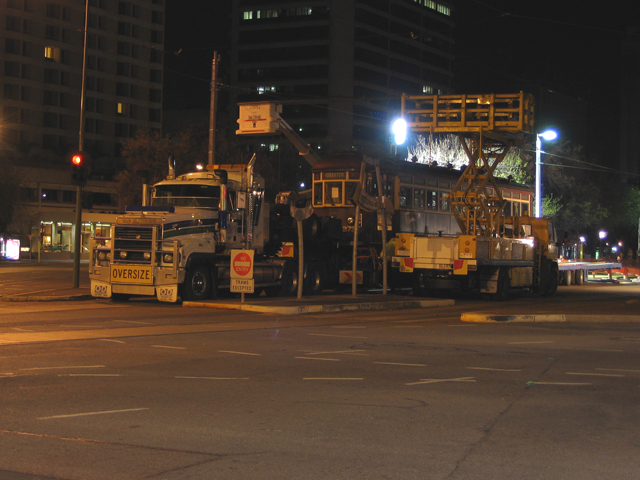 Prime mover tows 373 up the ramps (note the strap). 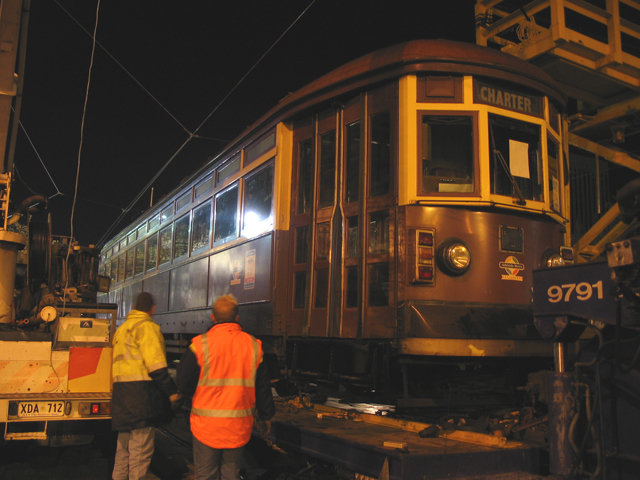 373 is on its way at 4am.